Two weekends ago Kyle and I escaped for the night up to my grandparent's place at Warm Beach (near Stanwood, WA). 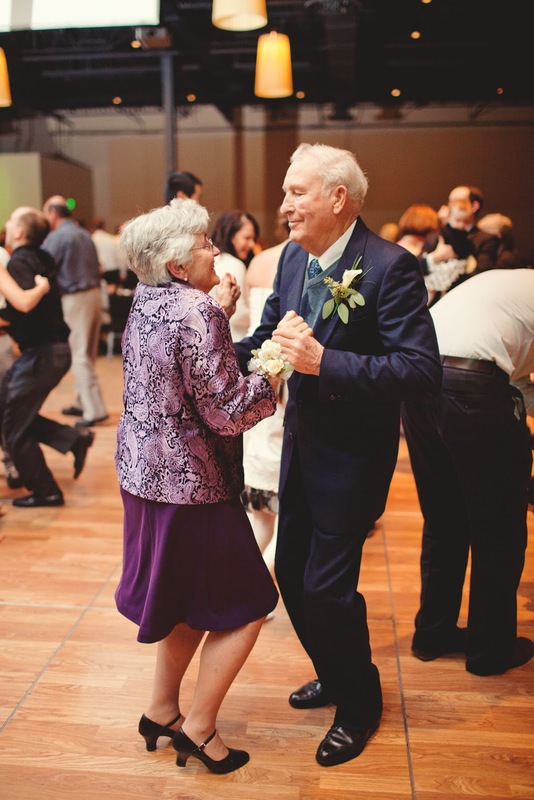 These are my grandparents dancing at our wedding. Aren't they the most adorable couple ever? And this is the song they were dancing to in that picture...! Back to our getaway: the grandparent's had a rule growing up - no boy/girl sleep overs in the cabin unless you're related (i.e. cousins), or married. Well guess what - WE'RE MARRIED! So, staying up at the cabin with a boy that's not my cousin was definitely on my list of "married to-dos" (right after updating my name at Safeway so they have to say "thank you Mrs. Hansen" every time I'm at check out). We headed up to their house Friday after work, and got there in plenty of time to get the cabin all turned on (thanks Aunt Shirley for the helpful handout! ), eat dinner, and play some cards with gram, gramps and my aunt. Let the record state that Kyle and I took first and second place while playing three people who essentially invented the card game we were playing (and yes I'm bragging, mostly because I beat Kyle to win the entire game - and that rarely happens!). Mud room - lots of treasures in here! Kitchen...also full of treasures, and a few stale treats! but not really" feel to it. is spectacular in the morning! advanced than we thought , but Kyle finally got it going! Saturday morning we headed up to the main house for 8AM pancakes. Grandma makes her own syrup and it's a-mazing (and no grandma, I'm not just saying that because I know you're reading this. You know I've loved that syrup+pancake combo since the day I was capable of eating solid foods!). After breakfast, we took naps (did I mention breakfast was at 8AM?). After nap-time, it was time to get ready for the Rambler Club Picnic! During the summer months, my grandparent's host two car club picnics - one for the Rambler Club and one for the Model A Club. This weekend was the Rambler club, and in true Stephanie fashion, I forgot to take pictures of any part of the picnic. Let me just say, the cars are always nice, the people are always friendly, and the food is always worthy of getting seconds. After the picnic and before heading home, Kyle and I decided to take a hike towards the Warm Beach Camp Grounds - just the down the road and up the hill from my grandparent's house. Giving it grace: Before we left on Saturday, we got a chance to sit and chat with my grandparents and my aunt about our family tree. For some reason, I've become really interested in my lineage lately. Fortunately, my aunt is a walking knowledge base of all things family tree involved (she's amazing, really). Hearing some of the stories about family members that have come before me is really fascinating for me! What continues to strike me is that God has planned my existence from minute one - starting with the existence of creation. And to then think that hundreds of years have passed and He's woven lives together back and forth to bring my existence up to this moment....and then to think about the future and who He hasn't even created yet but decades from now may be in existence because of me (and Kyle, obviously!). To try and imagine the type of care God takes to craft every detail of ours lives, and how much grace that involves as I continue to put "my plans" in front of God's face (as if I could ever have better plans than God! 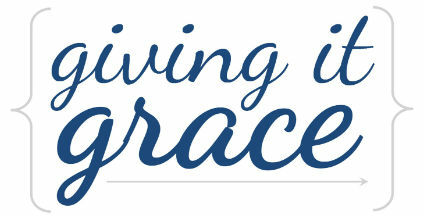 ), is totally overwhelming - in the best way possible. "Dear Aunt Shirley: please write a book about our family history, and then publish so we can all read it on that fancy new Nook of yours! Thanks, Stephanie."